The City of Kuna began contracting for law enforcement services with the Ada County Sheriff’s Office in 1998. In addition to a Police Chief,there are two field supervisors, eight deputies, two detectives and a field services technician committed to patrolling and protecting Kuna. These officers can call on fellow ACSO deputies from the County for help when necessary. The partnership between Kuna and the Ada County Sheriff’s Office means the City has access to all of the County’s law enforcement resources without the administrative costs of running a fully-independent police department. Chief Jon McDaniel is a lieutenant with the Ada County Sheriff’s Office and has served Ada County since 1993. Chief McDaniel takes over for Justin Dusseau, who is currently the Captain for the Ada County Sheriff’s Office Police Services Bureau. Prior to taking over as Kuna Chief of Police in April 2017, Lt. McDaniel supervised the ACSO’s Court Services Bureau, where he managed court transports, pretrial services, and the civil unit. McDaniel received his Bachelor of Science degree in Criminal Justice from Boise State University in 1993. He graduated from the Northwestern University School of Police Staff and Command in 2011, and the F.B.I. command College in May of 2015. 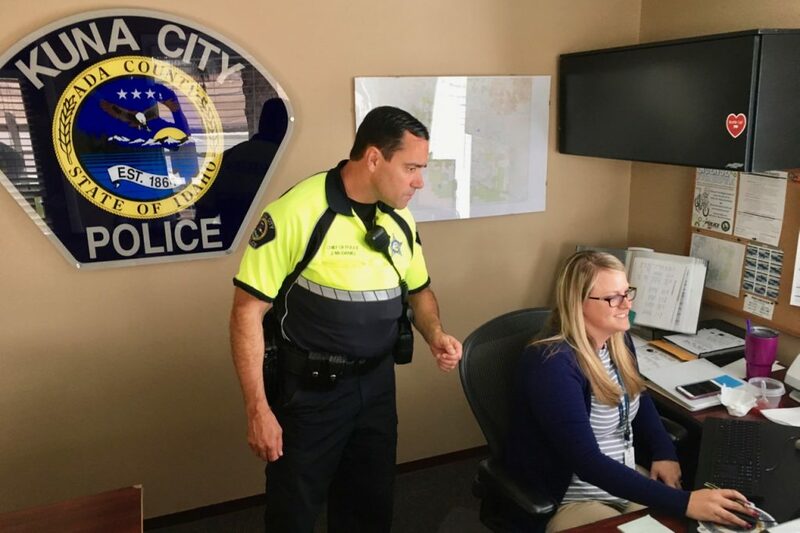 The Kuna City Police Department is committed to providing the highest quality of police services with crime prevention and problem solving being of highest priority. Chief McDaniel is committed to maintaining the quality of life that Kuna is known for and deserves.